LIPPINCOTT Q&A REVIEW FOR NCLEX-RN 13th Edition PDF is designed to help pre-licensure nursing students prepare to take the licensing examination. Students and faculty also use the book is as a study guide and practice tests for preparing for faculty-made examinations. Because the questions found in the book are also available in PassPoint , the products used together act as an ongoing assessment tool to monitor progress throughout the nursing curriculum. The book is designed to support the four major content areas in pre-licensure programs: obstetrics, pediatrics, medical-surgical, and mental health nursing. Within each of the four sections, chapters are organized around common health problems. When studying, students can select examinations that parallel the content in a particular course in a variety of curricula. 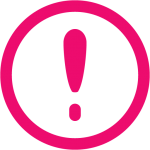 PassPoint offers the same flexibility for review and study. The textbook includes six comprehensive examinations to provide students a realistic example of the NCLEX-RN test, in which test items are randomized by subject area and difficulty. A new inclusion is a seventh comprehensive test focused exclusively on pharmacology items, to help students review and succeed on questions from this traditionally challenging content area. This consistently bestselling NCLEX-RN review book features more than 6,000 high-level questions that prompt active learning and higher-order thinking. The questions support the National Council of State Boards of Nursing (NCSBN) 2019 test plan and are written in the style used on the licensing examination. The 13th edition emphasizes alignment of content with the Activity Statements of the NCSBN RN Practice Analysis and has more questions on critically essential areas, including time management, cost-effective care, handoff reports, code of ethics and ethical dilemmas, transcribing prescriptions, reporting unsafe practices, using proper ergonomics, safe handling of biohazardous materials, devices to promote venous return, evaluating intake and output, titrating intravenous medications, administering controlled substances, safe handling of medications, phototherapy, managing arterial lines, telemetry, client confidentiality and privacy, safe identification of patients, and managing disasters. Other features include the use of all the types of alternate-format questions found on the licensing examination, detailed rationale for both correct and incorrect answers, information about the NCLEX-RN, study tips, and a Content Mastery and Test-Taking Self Analysis grid by which students can chart their own progress and modify study plans as needed. The accompanying site on thePoint provides an opportunity for students to practice taking computer-generated exams as well as taking “audio” questions that require students to listen to audio files to answer. This book for the study of the NCLEX-RN is one of the best review books out there for medical and nursing students. 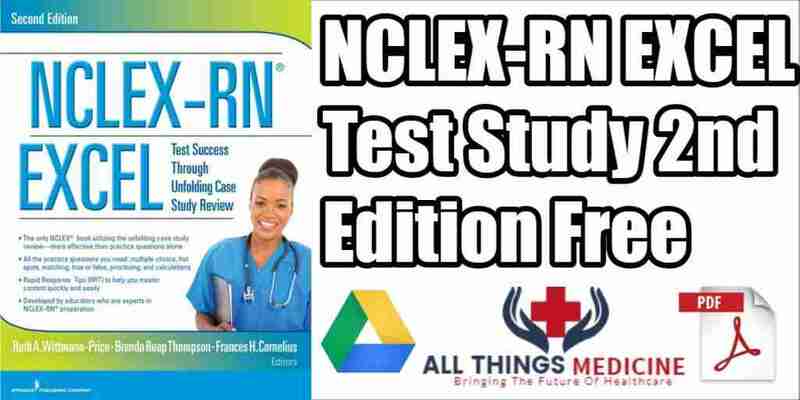 The NCLEX-RN is an essential exam in the nursing field and there are alot of books out there for the study of this exam but this one specifically is designed question wise for medical students and aims at understanding the exam pattern completely. Download it now and master the scores to become one of the leading nurses. If there’s one woman known at IUSON for fearlessly breaking barriers, it is Diane Billings. As a buyer of this review book, i strongly advise new graduates to purchase this book. A little history about my NCLEx journey… My first try i did not pass nclex. I took kaplan as my review class and to be honest, kaplan did not help me at all. All i got from kaplan was how to answer questions. I did meet kaplan’s quota, to achieve scores pass 60 percent but the thing i felt that i lacked in was knowing the content. Went into the exam and booom didnt know one thing. My first attempt at the nclex and the preparation that followed was doing straight kaplan questions and no reading. Instructors at kaplan advised to keep doing questions, which i did and long stry short i failed the board. I am not bringing kaplan down or anything, i had a great instructor for my review classes but to be honest it just didnt work. I gave myself 1 month break from studying and prepared 6-7months for the next exam. My second attempt, i passed! Now heres my advice and studying strategies i would love to share to you all. first of all i am a note taker, i love taking notes and using highlighters and different colored pens. If you are the same way, use them! I didnt do any of that during my first sit down study sessions before my first attempt. Next! I strongly advise you to purchase this book as well as the saunders book, the Q and A book, the color is blue. With this book, lippincott, it had many challenging questions but it was great challenging questions. I have to say i saw many questions that were similar in lipincott that sort of mirrored nclex questions, not verbatim but rather similar like i had that “oh okay i know where you are going with this question” type of feel. After reviewing this book go to the saunders book and start doing questions from there, the questions in saunder are super easy and it is great to do after having a go with lipincott for awhile. My thing there was that some days i would get a handful of questions wrong from lipincott and it pissed me so much that when i switched over to saunders it made me feel happy because they were easy. It just compensated that pissy feeling that lippincott gave me and saunders just eased them away lol. Lipincott is great because it breaks down sections in nursing for you to review. There is peds and sub sections of peds conditions. Medsurge (respiratory, GI, HTN, etc all in sub sections), altered (schizo, bipolar questions etc) you get the picture. It was very organized to me and help me keep a great system for me to study. 2. With each first page of each divider make a heading and label each first page with subjects we studied throughout the course of our nursing school journey. Ie: first page would be about medications. Next page would be medications of HTN etc. NExt, turn to a new divider and label it med surge, and under medsurge list conditions like electrolytes, blood conditions and take important notes on each sub heading. Do the rest for altered and maternity ect ect. If you have kaplan review book use it as a guide to your note taking. I did that. 4. Practice questions! I personally did 60 questions in lipincott and 30 in saunders each day. With lipincott there are many many many questions/pages my advice is to do questions separately in each section. For example do 10 questions on respiration, then 10 questions on maternity hypertension, then ten questions on GI conditions. That way you have variety in the questions you practice. 5. Review what you wrote in your notes. Read over what you wrote! I read somewhere if you write something and read it later, you will retain it. Very important. BTW i used my kaplan review book as a guide to my note taking so if you have one use it and read everything. Dont just write stuff down and not look at it anymore, you need to read it again, and again , and again. 8. BELIEVE! When it comes to x number of days till exam day just read your notebook over and over and over, this time that notebook is filllled with information! Also during the final days of your exam lipincott has the luxary for you to do 6 comprehensive exams. DO ALL Of them. You guys can do it. Lipincott is an amazing book, purchase it and you will defffffffffinitly pass! My second attempt at nclex, each and every question i knew what they were talking about, with each condition wether it was in the question or the answers i knew what it was. There was nothing in the second exam i did not know. You guys can feel the same way too. Listed below are all the Chapters and Units in the Lippincott Q&A Review for NCLEX-RN 13th Edition PDF. Shown below is a white download button for the Lippincott Q&A Review for NCLEX-RN 13th Edition PDF ebook. Click it to start your free download.